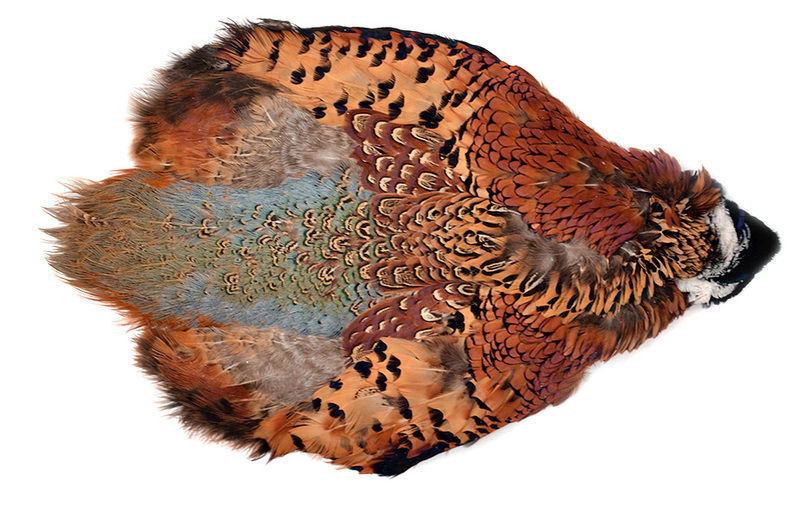 A whole Ringneck Pheasant skin including wings and tail. Almost every feather on the skin has a popular use. Dyed Golden Pheasant Crests are a great topping hackle for Salmon flies and a necessity on a lot of traditional double Salmon and Sea Trout patterns.